Some of you may have tried many times in the past to achieve goals and reach that state of fulfilling success. I know that for sure because otherwise why would you read about how to be fearful and strive for the best? Looking back, you may wonder what was the blockage that stayed between you and triumph. What if I said that the resistance to your experiences was the result of your internal conflicting feelings or perhaps thoughts about the outcome you may have been able to reach? It was a natural fear of what may have happened if you may have achieved your goals rather than the whole process of going for them. 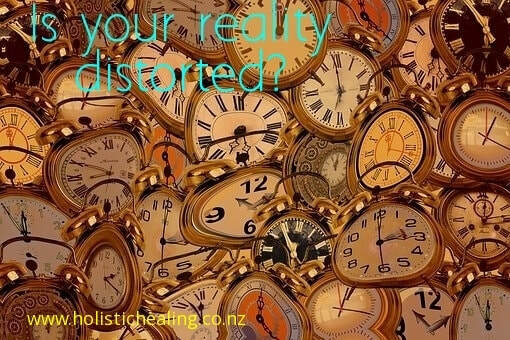 You may have had your perception of your own world distorted by the patterns you followed in the past. Blame it on cognition or, even more, on prejudice! Our view on the world is individual; however it is influenced by patterns and associations. In most cases, we believe what others do, especially when most of the people we know or look up to have the same beliefs. I call this the "flock effect" but NLP refers to this phenomena as the "Bandwagon effect". You may argue that you, as an individual, have personal opinions about the world and that you don't copy, share or mimic others, but in reality you do. Just remember the diets you may have followed in the past just because others in your associated groups did. As much as we adore them, the Beatles, the Stones and so many others would not have been so famous in the absence of the Bandwagon effect. So, perhaps because you were part of the flock, you pursued strategies that weren't necessarily followed by success just because you've done what others have done to achieve it. To be honest, some of the people whose beliefs you may have shared may have been wrong in the first instance, but you couldn't see it because your view on the world may have been distorted. Now, when you look back at the goals you haven't achieved in the past and at others that may have influenced you, positively or negatively, what do you see? Would you agree that you sympathised with people in your group just because you liked something about them? Perhaps that little aspect in their personalities covered things that you may have not liked about them if you were able to drop the rose tinted glasses.. We call this the "Halo effect" and you are not the only one to experience it. Just remember that you cannot control the whole Universe but you can control yourself. "Who controls the bus? You are!" as Richard Bandler, one of the founders of NLP (Neuro Linguistic Programming) said. Therefore, if you really want success, start with you. Change aspects that stay in the way of excellence and mould yourself in the person who is able to handle success. Do you want personal achievement, perhaps getting your body in shape, finding love, keeping love, opening your own business and making it an international trend? You can! Find the resources to alter your misconceptions and prejudice and you can conquer the world! Download and complete the assessment on top of this post and work on yourself. 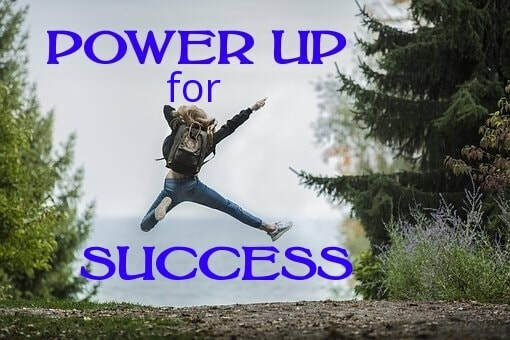 Power up for success! ​After evaluating yourself and your goal, it is now the time to start a strategy you can base your success on. You know by now who you are and what you want to achieve and perhaps wonder how to get there. You may have tried in the past to reach similar goals and you may have failed because you haven't had a strategy in place. A strategy is nothing else than a sequence of steps that takes you to the desired goal. Just imagine yourself baking a red velvet cake. You may have done it many times in the past, but let's be honest: there is no way of knowing every recipe by heart. So you open your recipe book, read the list of ingredients and start adding them in the right quantities and order. It is impossible baking a delicious cake if you miss any of ingredients, add wrong quantities or change the order. In fact, the result would be a total fiasco. This is what it may have happened to your goals in the past. You've got through the first step of your strategy already. You evaluated your internal and external resources. You know already what you can rely on and who and what is meant to step aside. The second step in achieving your goal is preparation and for this to work properly, I would suggest to split the timeline for achieving your desired goal in 3 stages, each of the same length of time. You are preparing yourself exactly as an athlete organises their year in off competition phase (off season), pre competition phase (pre season) and competition phase (season). Let's pretend that your first stage ends on 30th of April. To make things easier, I would say that in this first stage you would do exactly what every operational manager does, planing, prioritising, clearing every emotional baggage from the past when you may have failed and making sure that every ingredient comes handy. It is the right time to gather all your facts together, design a vision statement and act according to it. There is no time for looking back in the past because your only attention should be to the goal itself. Let's pretend that your goal is to lose 10kg this year. If you assessed yourself seriously in the last 2 weeks, you know how you gained the extra weight, why you couldn't lose the weight in the past, what are your bad behaviours/ habits, and why did you sabotaged yourself in the past. You also know what are your strengths you could rely on. Now is the time to find out how you could base your present on good and bad experiences from the past. Things will get serious in the second phase, ending on 31st August, when you will need to actually start putting all your facts together and implement series of actions. For the same example of losing 10kg, this is the step when you would actually put the hard work in. Then in the last stage, ending on 31st December, you will dedicate yourself to testing every little aspect, changing details that didn't work properly and even replacing them with other resources, ideas, and plans. In other words, you would have to come up with alternatives for parts of your strategies that had no positive outcome. Again, if 10kg weight loss is your goal, in this last step, you will make adjustments to your nutrition and exercise plans. So, let's get started. Download the assessment at the top of this post and work towards your goals. 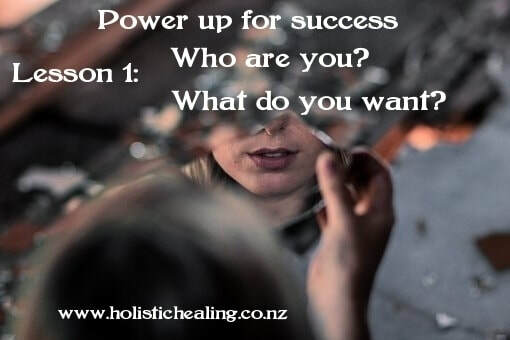 Power up for success! Last week you defined who you are and what you really want. I hope that you set up your goals high, keeping an eye on how measurable, achievable and realistic your goals for 2019 are. You know by now what is there to stop you reach success and who are the people who walk on the same path as you. Do you really? So let's go further and identify what should stay and what should go. Are there patterns in your life that stopped you achieve in the past and if so what are those habits or false beliefs? We inherit beliefs from our own cultures and we base most of our development on them. Some beliefs could serve us, others are meant to be left behind. We also make up our own system of values, some interacting with the beliefs we thought that were part of us. So, what should you keep and what not? I am not sure what your goals are. They may be related to starting your own business, changing jobs, upskiling, losing weight, quiting an addiction, finding love or even settling with the right person. No matter what success means for you, you are the only one to aim for it. Success is your own truth and it doesn't have to be shared by others, but, in order to achieve it, you need to surround yourself with the right people. So, again, which of the people who form your social group you will be keeping close to you in 2019? Which may help or which may inspire you? Which of them would celebrate your success and which would envy you? Find your own answers and let go the ones who are not right for you. During the years, I had many clients who talked passionately about manifesting their wishes. I even met tutors who thought that manifesting meant that you asked and you should instantly receive. Most of them believed that the Universe worked in that weird way that everything we put out there should become reality just because us, humans, demanded it. Things work totally different in the real life. In the highest level of meditation, you can affirm for hours that "my garden is full of roses". The roses won't grow instantly and coincidentally in your garden just because you manifested. Manifesting without action means nothing. Before putting your wishes out there, you should plant the roses and then manifest them to grow and fill your garden with flowers. 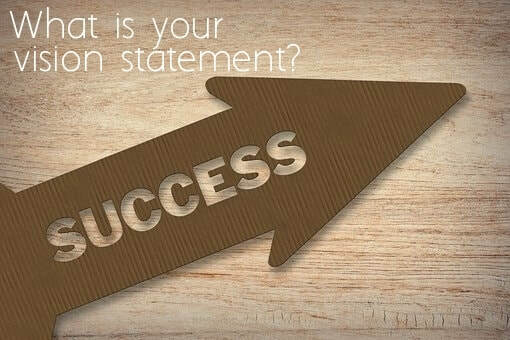 So what actions do you have to do in order to achieve success? Are they in regards to how you organise your time or perhaps correlated with your own concept of success. 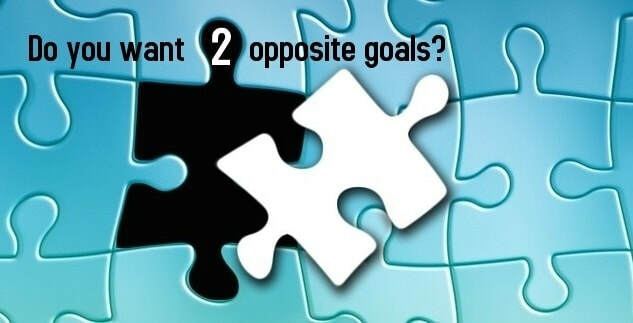 Many of the people I know believe that goals and outcomes are the same things. You may argue that NLP focuses on outcomes, but this may be only the manner they name things. In your case, goals are just goals and outcomes are the possible effects of reaching them. Many people want fame; they want to be well known despite everything, so if you are one of them, believe me when I'm saying that fame is not a goal. Fame may or not follow you reaching success. If achieving your goal is affecting positively others, you may get to be a celebrity, but is this what you really want? First of all, you need to make yourself happy, then, why not, make others content. Therefore, forget about outcomes and keep your eyes on goals that bring your personal success. And in order to do that, go back to the last week assessment and to the 3 personal weaknesses you pointed out remembering that every weakness can be a strength if you know how to use it. If you think that you are too ambitious use your strive to be successful in what you do; if you are too argumentative, use your passion to fight for what's good; if you are too pessimistic, use your super realistic or even fatalistic views on avoiding traps. Use every weakness for your own benefit asking yourself what benefits could you get from your current way of acting. Success follows change. There may be your language or body image/ language that stopped you achieving in the past. You may have wanted things, but your personal body language may have showed the opposite. If you want to be wired for success, you may have to change... and this is easier than you think. Download the assessment at the top at this post and continue working for success! You can and you will be on top of the world! Week 1: Do you know what you want? Before you start your journey to success, ask yourself who you really are. Who is the real you? Have you lost yourself somewhere in the past in the desire to please others or you see yourself as others perceive you? When asked about who they are, most of my clients answer robotically saying their names, ages and adding facts about their spouses, children and occupation. This is not who they are! This is how their parents have named them, how many years they had already on this planet, what is their marital status , how many children they parent and what they do for living. Who you are is made up of your strengths and weaknesses that helped or stopped you achieve in the past. Your beliefs, habits, values and thoughts that form your personal consciousness determine who you are. So what do you believe in and which of your qualities or attributes can help you achieve your goals? Once you know what could help you reach for the stars, ask yourself what do you really want. Is it love, inner peace, social interaction, a new home, career or money you are after. Would achieving any of these make you happy? Remember though that goals and outcomes are totally different concepts. Therefore, fame is not a goal! Goals/ success are realistic and achievable, whilst outcome may follow achieving them.... or not! Once all this being said, grab your pen, download and print the form below and start working on your first step to success! You will hear from me next week with another step out of 52 that form your strategy to success. Remember that success is not something the universe will throw to you just because you ask for it. 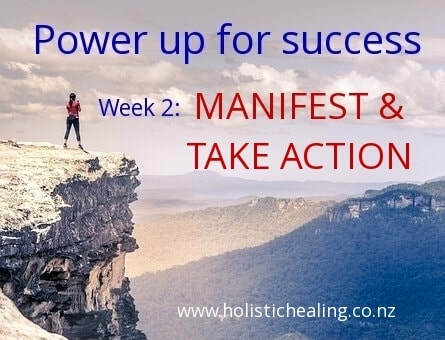 Manifesting without action means nothing! ​2019 is the year when you can reach absolute physical, emotional and financial success! It is also the right time for me to pay it forward and for you to receive for free! So let me guide you to transformation and abundance.... would you? With the right strategy you can get your power back and conquer the world. If you are at a crossroad and don't see the way ahead, want desperately to find your inner peace, wish to succeed and have that perfect life you always dreamt about, I am here to share with you a strategy that will fade the fog away. I've been in your shoes and I know how it feels to be helpless. No more! Whether you desire success in relationships or in your own career, I am here to share my knowledge. I am paying forward my success to you! You are meant to shine! You are meant to be healthy and wealthy! "POWER UP FOR SUCCESS" is my dream. I desire to coach you to teach others! There is no catch and no payment involved. 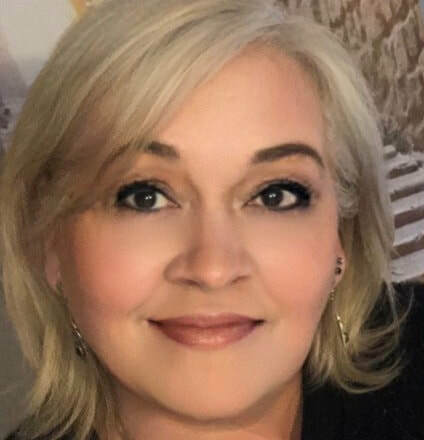 So, every week in 2019, I will reveal one technique at the time to help you achieve personal and professional success. I have big plans for you and you should too. So, let's start a movement together!